Lewis Crossley inspired thousands of well wishers during his leukaemia battle. Together we were Team Lewis. To honour his memory we've set up the Team Lewis Trust and our objective is to make a meaningful contribution to finding cures that were sadly out of Lewis' reach. Lewis Crossley was a bright, lively, charming, funny boy. He had a wide range of interests for someone so young. 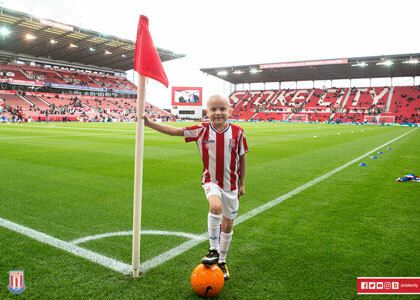 Like many young boys, football was a passion and he was a big Stoke City fan. He had an interest in tractors from a very young age and knew all the makes. He loved dancing and had the makings of a promising artist. 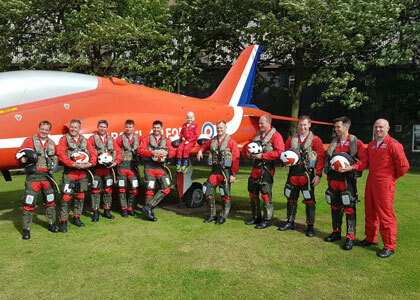 Lewis was diagnosed with T-Cell Acute Lymphoblastic Leukaemia (T-ALL) in October 2015 at only 5 years old. Further analysis showed it to be a less common sub-type known as ETP-ALL. He was an energetic, active, normal little boy who hadn't shown any signs of being unwell right up to the day he was diagnosed. He commenced chemotherapy at Birmingham Children's Hospital with support from our local Royal Stoke University Hospital. Lewis' early response to treatment was slow which flagged him as high risk so he received the most intensive treatment level. He suffered many complications and illnesses in the first year but achieved remission in the first few months, only for the disease to come back a year later. 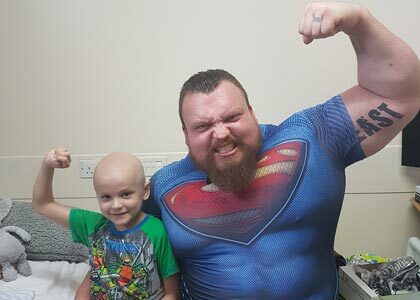 Lewis underwent salvage chemotherapy and managed to achieve another remission. This was quickly followed by a stem cell transplant in February 2017. After a gruelling 3 months in isolation, he was discharged home in May 2017 but the disease was discovered again in June 2017. We were then given the devastating news that very little more could be done. As parents we pushed for anything new in clinical trials that could be tried. We scoured the internet but there wasn't much and most of that was still in the lab, not ready for humans. Our team opted to try something brand new, a monoclonal antibody called Daratumumab. Although a promising new treatment for myeloma, Lewis was only the third leukaemia patient worldwide to try it. This helped to keep the disease under control for a time but unfortunately was not going to be a cure. We tried to make as many lovely memories as we could over the summer of 2017. Lewis became very ill in September 2017 and sadly he lost his battle on the 3rd November 2017. Lewis' bubbly nature, his courage and his positivity through his ordeal inspired a large number of well wishers. Together we were Team Lewis and his Facebook page kept everyone updated and allowed him to be his entertaining self. He never could quite believe there were so many people following him but he loved it. As the outlook worsened, Team Lewis began fundraising so Mum and Dad could take more time away from work to care for him. Hundreds of people got involved and the target was surpassed more than 3 times over. In spite of all the advances made over the years, leukaemia that relapses quickly is still very difficult to treat. For some relapsed leukaemias, new treatments are becoming available that are showing great promise. CAR-T therapy and other immunotherapies have caused excitement and newspaper headlines in the last couple of years. By using our own immune system to attack the cancer, the hope is for greater efficacy and fewer side effects. Unfortunately most of these new treatments don't work for T-ALL. In T-ALL the problem is in the T-cells and it is proving difficult to get a healthy T-cell to attack a leukaemic one without attacking other healthy T-cells. The prognosis for relapsed T-ALL remains dismal and treatment advances are lagging behind other leukaemias. Lewis' family and friends want him to have a lasting legacy and for some good to come from his tragic loss. Team Lewis Trust will honour his memory by fundraising for more research into T-ALL so that we might better understand it, develop new treatments and, ultimately, raise cure rates. Our grant making will be guided by clinical professionals so that we can invest in the most promising directions. We are realistic. We are small and medical research is expensive. But we are focussed, passionate and motivated and - by pushing T-ALL research - we will make a difference. For the benefit of the public to protect and promote health by the provision of grants to further research and develop new treatments and ultimately improve cure rates for T-Cell Acute Lymphoblastic Leukaemia and publish the useful results of such research.